[International shipping for Customers overseas] Please use International forwarding service 「malltail.jp」. This website helps your products to be delivered to your country. 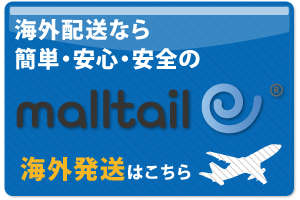 Please register at malltail.jp before you enjoy shopping. Copyright (c) 2008 Kireininaare. All Right Reserved.